Avermetrics, manufacturer of electronic production test systems, has hired Jonathan Novick as vice president of sales and marketing. Novick will be responsible for product launches and the worldwide sales and distribution of Avermetrics products. 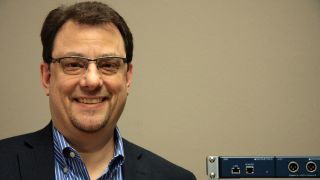 Novick, based in the Los Angeles area, is an electrical engineer and former vice president and governor of the Audio Engineering Society (AES). Over the last 25 years, he has held a variety of sales, marketing, and management roles within the test and measurement industry at brands such as Audio Precision and Hewlett-Packard/Agilent Technologies (now Keysight Technologies). He is a frequent lecturer on topics related to audio testing and sits on several standards committees within the Consumer Technology Association. When not traveling, he likes to volunteer live sound and DJ services for charities in his hometown of Camarillo, CA. "Avermetrics’ has a unique approach to production test systems that has impressed me since the inception of the company,” Novick said. “It is no easy task to create effective solutions that maintain their simplicity. They have found a very straightforward way to scale their solutions to fit any size test problem with no hit in speed. I look forward to spreading the gospel of the Avermetrics solutions." “Jonathan has been one the most visible faces in audio test over the last decade,” said Paul Messick, Avermetrics president. “He knows the audio industry intimately and his past customers are some of his biggest fans. I am excited to have him on our team."